Prague Castle is not only one of the main political objects of Prague and the whole Republic, but it is also a very important attraction for tourists coming to discover Czech capital. The view on Castle that opens either from one of the bridges over Vltava or the riverside hypnotizes everone. At first, people search for Prague Castle photos in the internet but then they share their own pics with friends in social networks. In this article we will provided you both with beautiful photos and interesting facts about the place. To my mind the most interesting thing about Prague Castle is the opportunity to get amazing photos with impressive views over the famous red roofs of Prague. And this is the first thing we usually pay attention at during a walking tour with a personal guide-photographer in Prague, because historical facts should not overload the tourists. All the information today is available in Wikipedia and other resources, which gives people opportunity to know some basic facts before the trip. And at the sightseeing tour in Prague and other cities, it is important to let people enjoy the beauty. 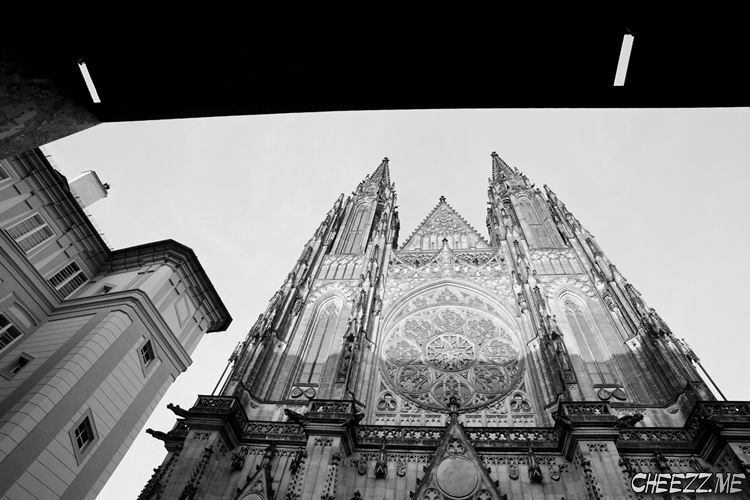 Though, I would like to give a short historical overview about Prague Castle. There are several reasons for the Castle to be so attractive. Of course it looks impressive and hardly any person visiting Prague don’t want to visit the place. According to the estimations of architects, the Castle in Prague is the biggest one in the world. Moreover today it’s not just a kind of huge open-air museum, but the heart of democracy in Czech Republic. Kings and Emperors used to live in Pragur Castle several centures ago. Today the president and his crew work in the castle cabinets for well being of the country. Lucky tourists may even shake a hand with Czech president and even to take a photo with him. Almost all the royal traditions existed in ancient times in Prague were washed away in time, but one tradition remained. The change of guards in Prague Castle is a very interesting ceremony that attracts thouthands of tourists every day. They take photos and film video of the solders marching. There are numerous sights and attractions. So, having a photo-tour with your personal guide-photographer, you’ll have an opportunity to get great photos of you in front of Prague Castle. The rout of the sightseeing walking tour is discussed with you photographer in Prague in advance. It may include Zlata Ulicka, Prague Castle Cathedral named St. Vitus Cathedral, President Castle and of course the gardens. All the mentioned places are optional. During the tour with photographer the most important thing is a beautiful view and you. The aim of our tours is to let tourists bring home interesting and beautiful photos, like postcards with sights and attractions. 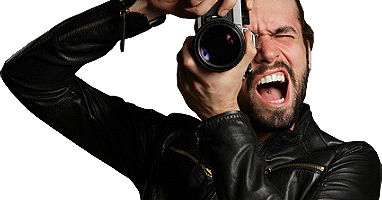 Therefore we strive to take impressive photos of good quality. CHEEZZ.me photographer in Prague is sure to tell you the history of the place you visit in a manner that even a child can understand and remember. 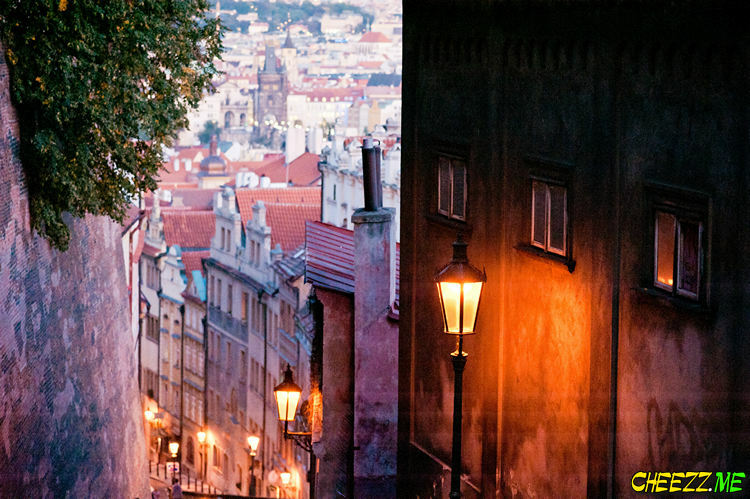 Moreover you get picturesque photos of Prague with your happy faces. To book a sightseeing walking tour to Prague Castle with a photographer in Prague, please fill in the contact form. Where to buy Bohemia garnets, crystals and glass in Prague? How to get from Amsterdam to Schiphol Airport and back?